COMFORT. REPLENISH. MOISTURIZE. Two formulas prepared with our Advanced ApotheCARE Approach and precisely tailored to help moisturize and nourish dry skin. Gently cleanses while providing deep moisture for nourished, soft skin. 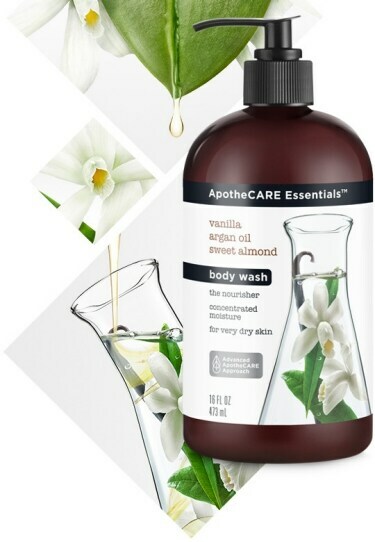 Prepared with hand pollinated vanilla, crushed Moroccan mint, argan oil, cold pressed sweet almonds.